On Friday, June 8, the College of Technology opened the doors to twenty children for Take your Child to Work Day. An annual event in the United States, it is an educational program where parents take their children to work with them for a day. 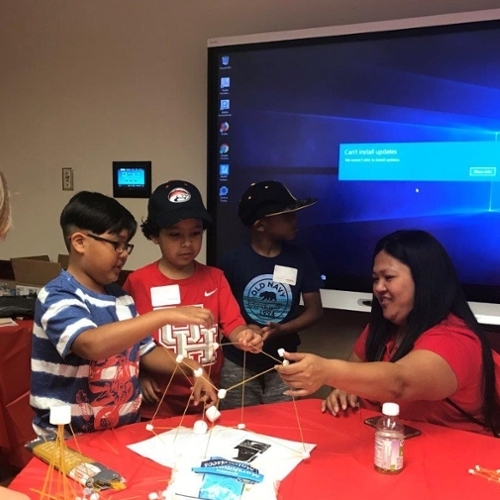 At the University of Houston children, ages 6 – 13 had the opportunity to participate in campus activities in several departments. At the College of Technology, they started the day off by enjoying donuts with Dean Tony Ambler who talked to them about college and the many areas to explore in technology. The children participated in two building challenges where they formed teams and used their imagination to build different structures using marshmallows and uncooked noodles. They put their creative skills to work building objects such as towers, bridges, hotels, and even swimming pools. Construction management professor, Lingguang Song then spoke about the role of technology and construction management. 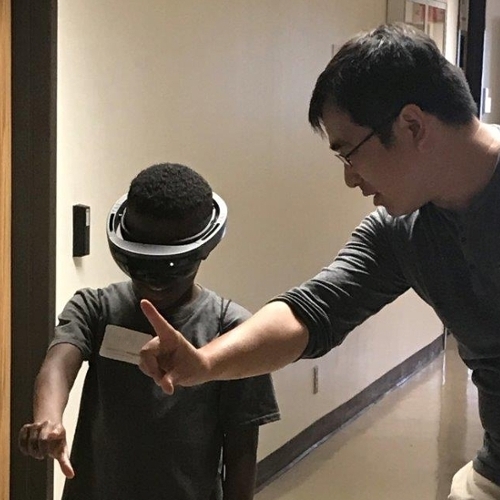 Professor Kyungki Kim introduced them to augmented reality using iPads to look at designs of houses and play basketball and baseball. He showed them what an industrial facility looked like through the Microsoft HoloLens. At the end of the day the kids had fun designing their own t-shirts and face painting. Faculty and staff enjoyed providing the children with a unique learning experience.